Perfect one or two day Chianti itinerary, from Florence to Siena, to discover the best of this unique region, including a map. 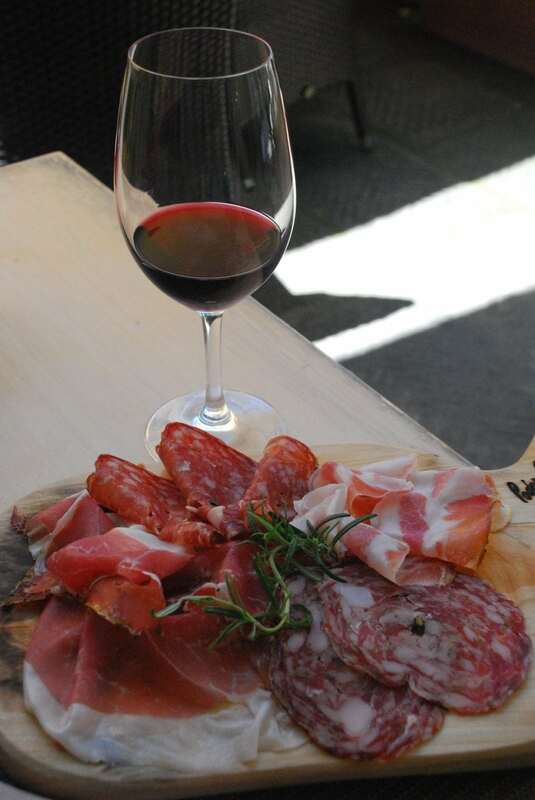 For anyone but the true “wine aficionados”, Chianti is synonymous of Tuscany wine. There’s a reason for that: Chianti is by far the most produced and sold Tuscan Wine, and is produced in an area much wider than the so called “Chianti region”. It is also one of the first Italian Wines to be branded and marketed in a distinctive way. The “Chianti” wine was created in 1837 by Barone Ricasoli, who defined a new recipe, a blend of Sangiovese, Canaiolo and Malvasia. 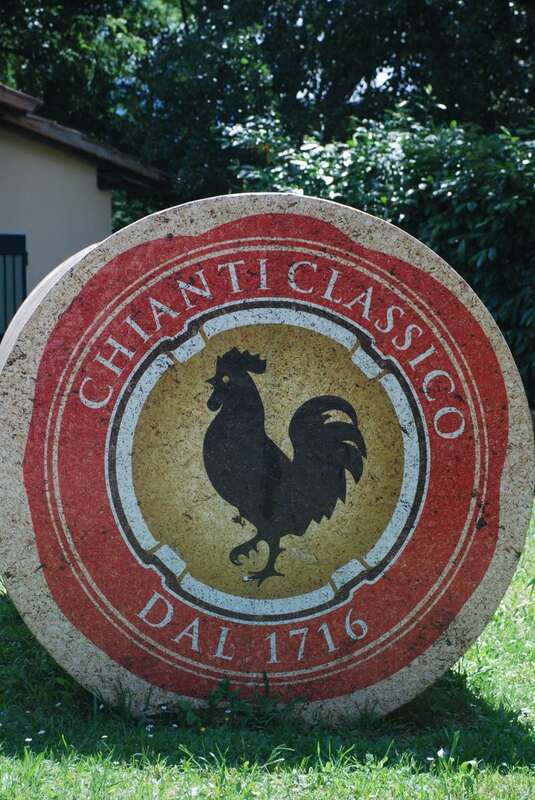 The new wine was such a success that in 1932 the producers of the original Chianti Wine joint together to create the consortium of the “Chianti Classico”, with the black roaster (“Gallo Nero”) as its symbol. Today’s recipe is a little different from Barone Ricasoli’s, and requires at least a 80% Sangiovese, with the rest being a different wine, often Canaiolo, but not necessary. Also the ageing in small Oak barrels (barrique) is optional. Add the difference in tastes and texture deriving from different sub-zones, and you’ll easily realize that you will hardly find two Chianti tasting exactly the same. In this post I’d like to drive you in a one/two days itinerary to discover the beautiful Chianti country side, its history, its food and, of course, its wine. 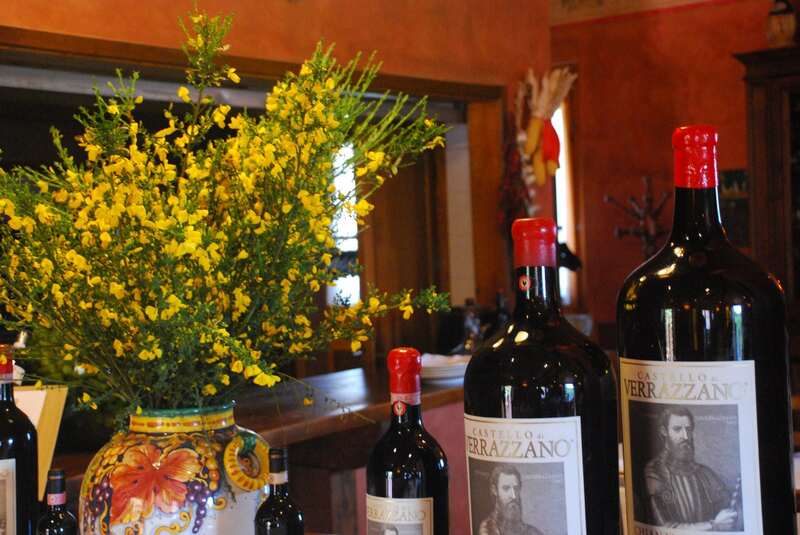 Our Chianti itinerray begins by taking the “strada del vino” (“wine road”, 222 ss route), just south of Florence. Soon, the view of the silver of the olive trees, the green geometry of the vineyards, the roads lined with tall green cypresses and the borders of the woods lined with yellow broom combine in a palette of colors that seem to create a unique painting. 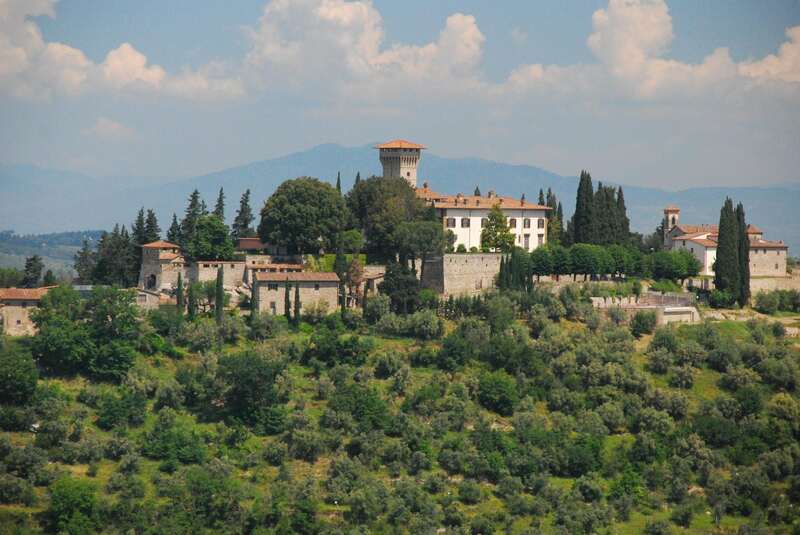 The first notable stop in your Chiant Wine Tasting tour is the Castello di Verrazzano. 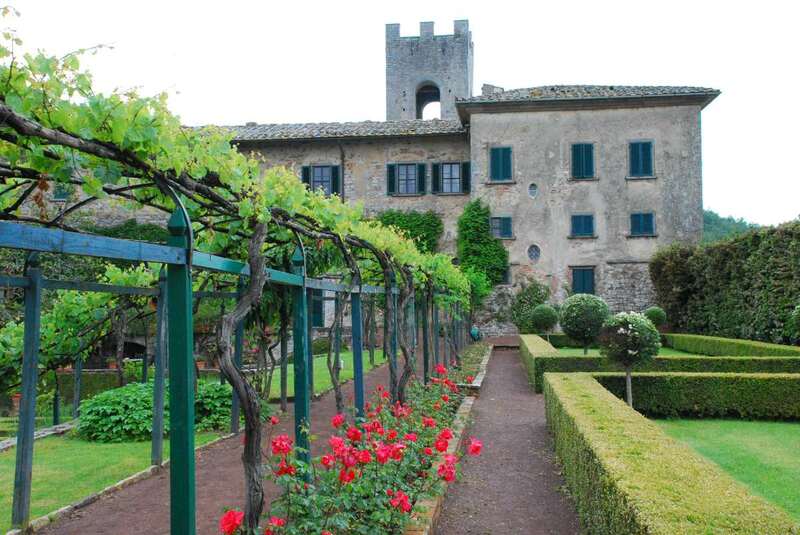 The Castle of Verrazzano is located on a hilltop in the Chianti Classico area, overlooking a beautiful countryside. The castle is known for being the birthplace of the family Verrazzano to which the Navigator Giovanni, the one who discovered the bay of New York, belonged. Today, Castello di Verazzano is a highly reputed winery. You can stop there for a guided tour and a wine tasting, often followed by a lunch in the beautiful lunch room overlooking the valley. 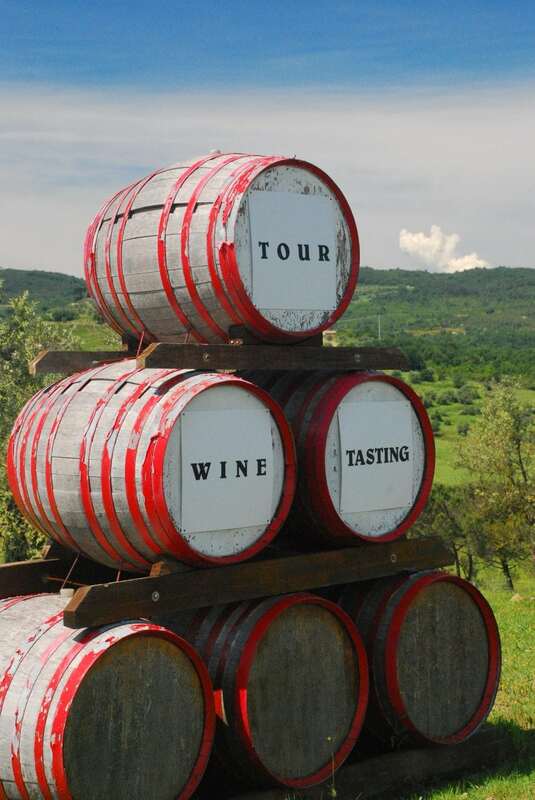 I suggest to take the tour and the wine tasting, but skip the lunch, there are better options outside. The next stop is Greve in Chianti, which is considered by many as the gate into Chianti and is famous for its particularly shaped piazza or square that has been market place for the castles and walled villages in the surroundings since the Middle Ages. The square has a triangular shape and large porticos, dotted with nice shops and delightful restaurants. In the center stands the bronze staue of Giovanni da Verrazzano, explorer that discovered the Bay of New York. 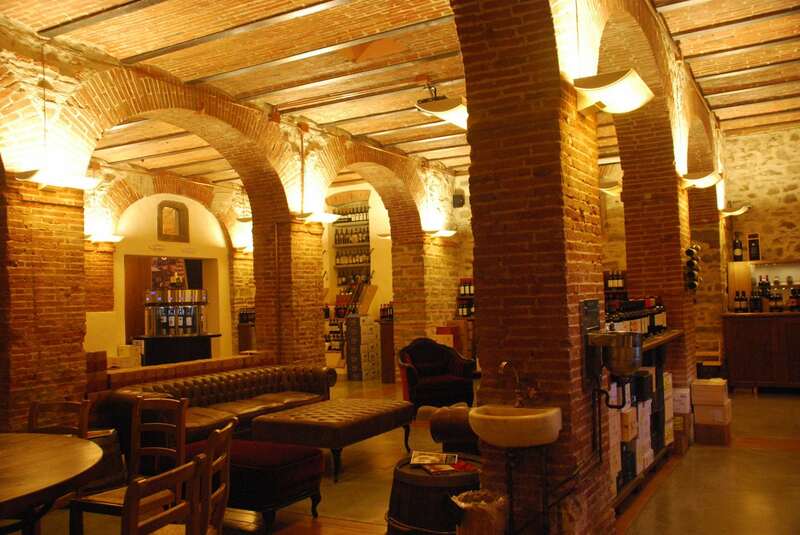 In Greve in Chianti you will also find the Enoteca Falorni, probably the biggest wine shop in the Chianti area, and the best way of tasting up to 140 wines from different cellars in a vaulted, renovated ancient underground. Just purchase a card, choose the wines you want to taste, insert your card in the tasting isle, put your glass under the nozzle, press the button and voilà! You can also order local appetizers (cheese, ham and “bruschette” (grilled bread topped with many different sauces). 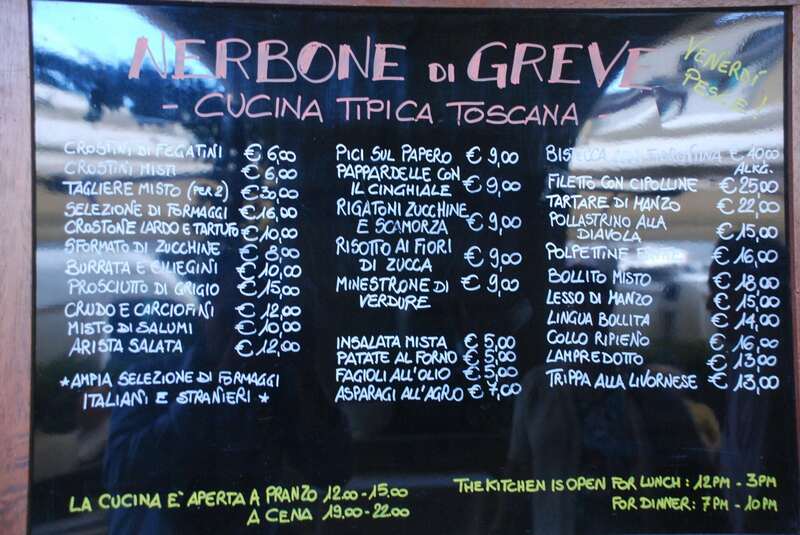 If you prefer to stay outside, you will find a subsidiary of cantine di Greve on the main square. 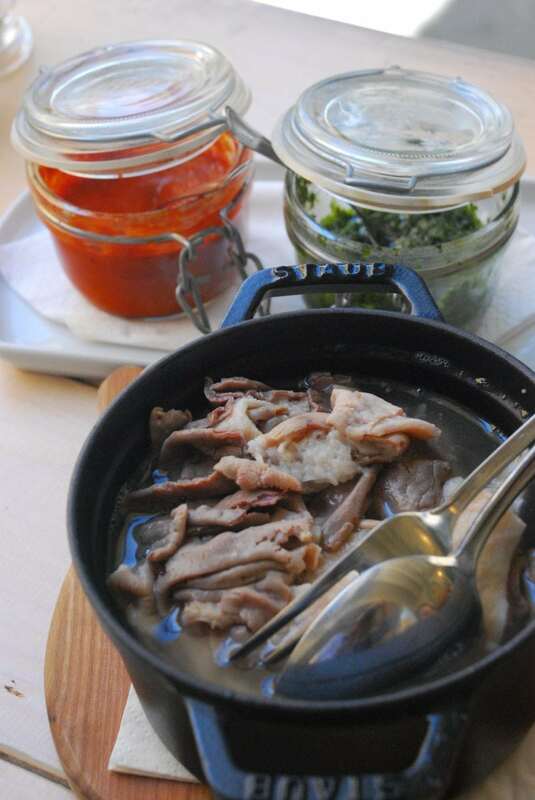 If it’s lunch time, you will find many nice restaurants on the main square, where you can try the tasteful Lampredotto. It’s a traditional Florence dish, based on boiled cow stomach: it may sound weird, but it’s delicious. 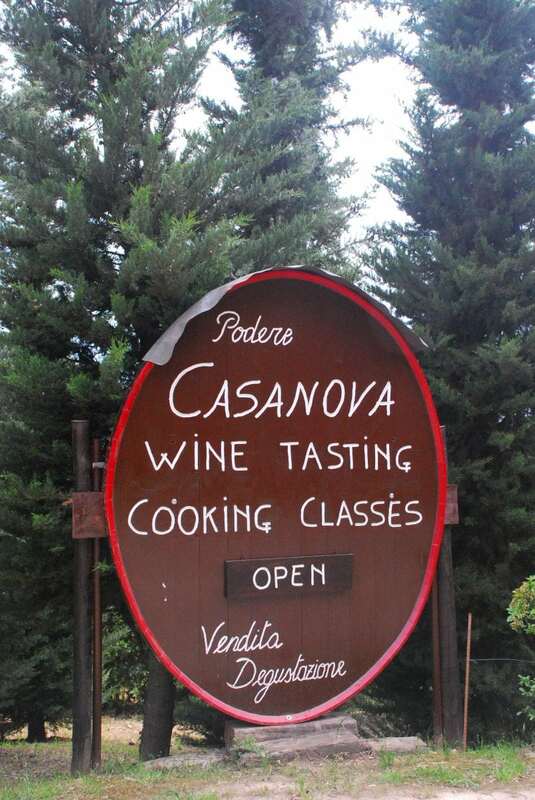 Going back to route 222, I suggest a stop for a cave visit and a dedicated wine tasting at the Podere casanova. Here you will meet Rita and Silvano, the land lords, who not only produce high end biological Chianti and Super Tuscan wines, but will also delight your tastes with their production of truffle oil, true balsamic vinegar, and even honey wine, which recipe dates from the middle age. 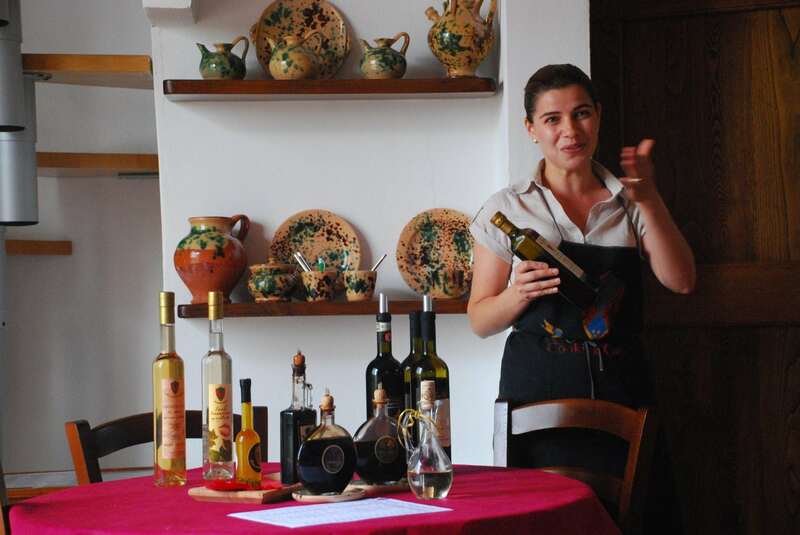 Cooking classes are available for the happy few that can dedicate a full day to them (note: the wine tasting is only by appointment, to preserve the intimacy of the experience). Next stop is Castellina in Chianti. Set along the Chiantigiana road that connects Florence to Siena, it is one of the most important destinations in Chianti. Once a fortified village, you will discover along the ancient walls an impressive underground tunnel used by the guards, Via delle Volte. 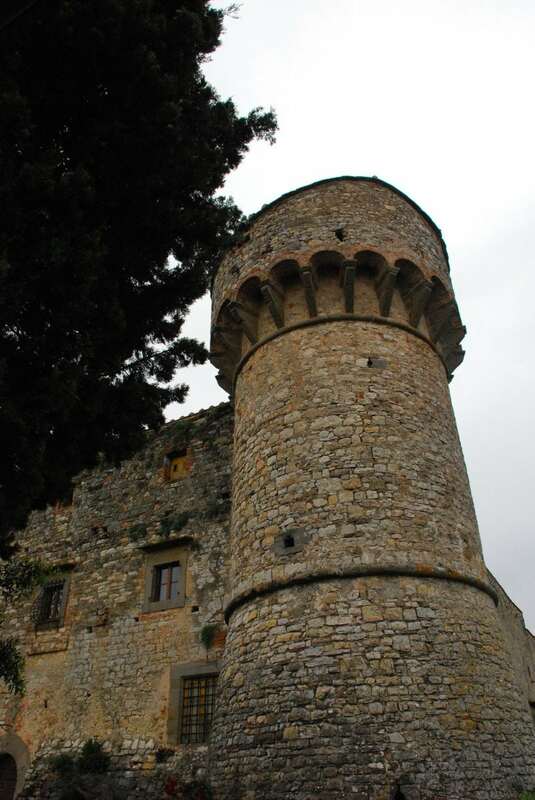 You will also like the impressive fortress, which gives its name to the village (Castellina derives from the word “castello”, castle in Italian). Castellina in Chianti may be a good place to rest for an evening. My suggestions to eat and sleep? 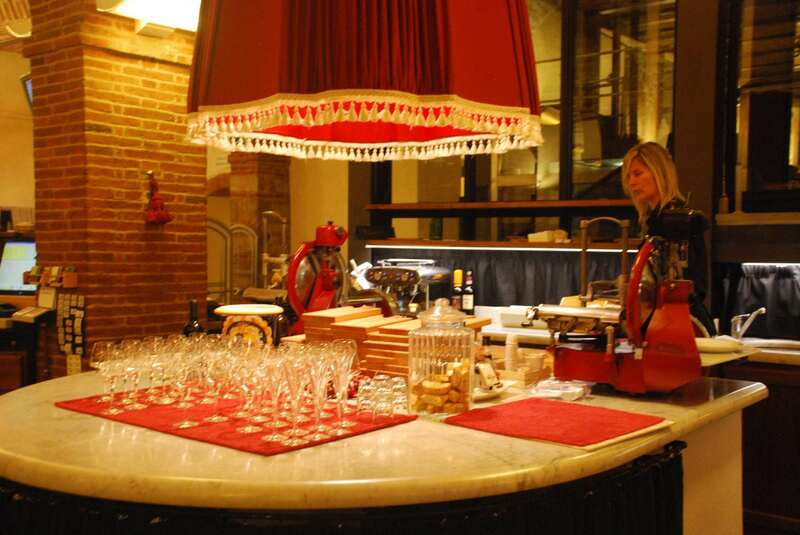 Restaurant Sotto le Volte, in the underground passage under the ancient walls, and, a few kilometers from the Village, Hotel Villa Casalecchi, an ancient countryside villa, immersed in a park of century old trees and surrounded by Chianti vine-groves. 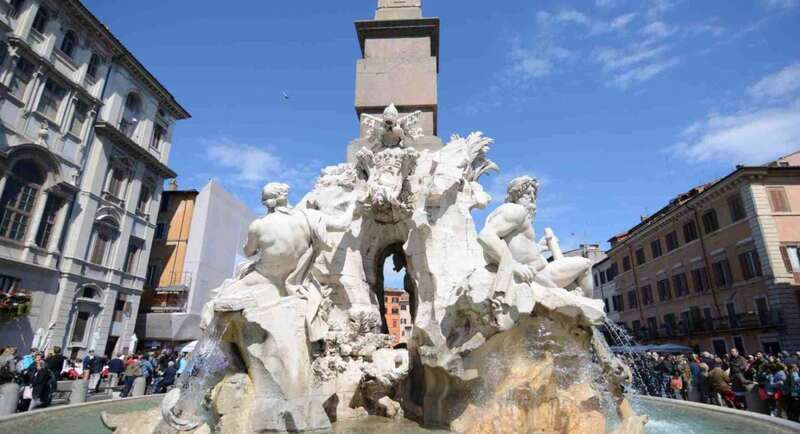 On a second day, you can explore the beautiful countryside, dotted by middle age villages, abbeys and castles (all this area used to be a battlefield between Florence and Siena). Definitely worth a visit is Radda in Chianti. 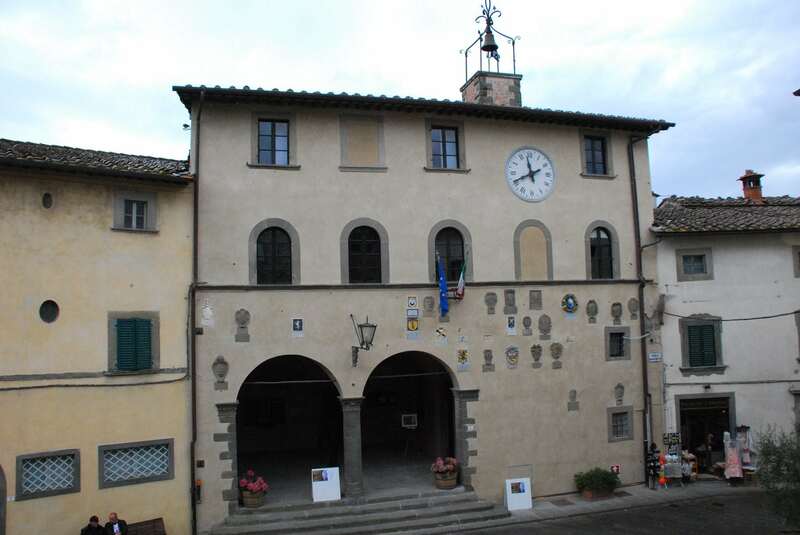 Radda was the headquarters of the Chianti League and the seat of the Florentine governor housed in the beautiful 15th century Palazzo del Podestà, its facade decorated with several coats of arms. 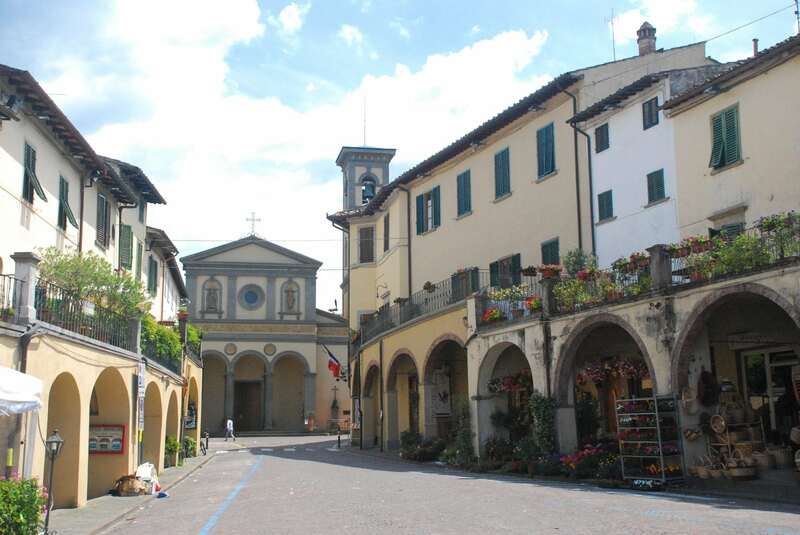 The town maintains its medieval look characterized by narrow streets meeting in the main square where you’ll find the Church of San Niccolò, a church of Romanesque origins which displays a venerated wooden Crucifix from the 15th century. If you are around Radda at the beginning of June, don’t miss the “Radda nel bicchiere”, an open air wine tasting with over twenty producers presenting their Chianti wines. Close to Radda you can visit the tiny Volpaia village, often used as a movie set (you may stop at the excellent La bottega di Volpaia, and savour your Fiorentina steak under the trees, on a terrace overlooking the vine-groves) and then have a guided tour at the nearby imposing Badia di Coltibuoni, once a fortified abbey, now a lovely B&B, and visit their huge caves. 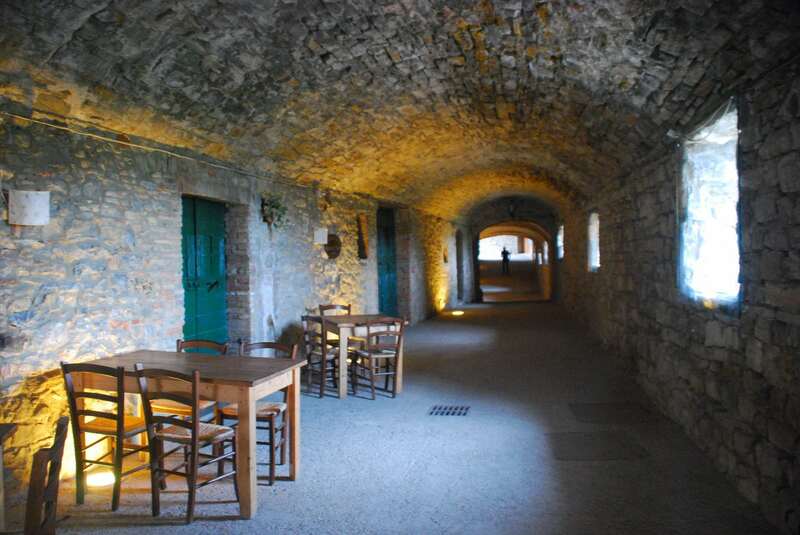 You may end up your day at the Castello di Meleto, by visiting the 18th century interiors, its caves (of course!) 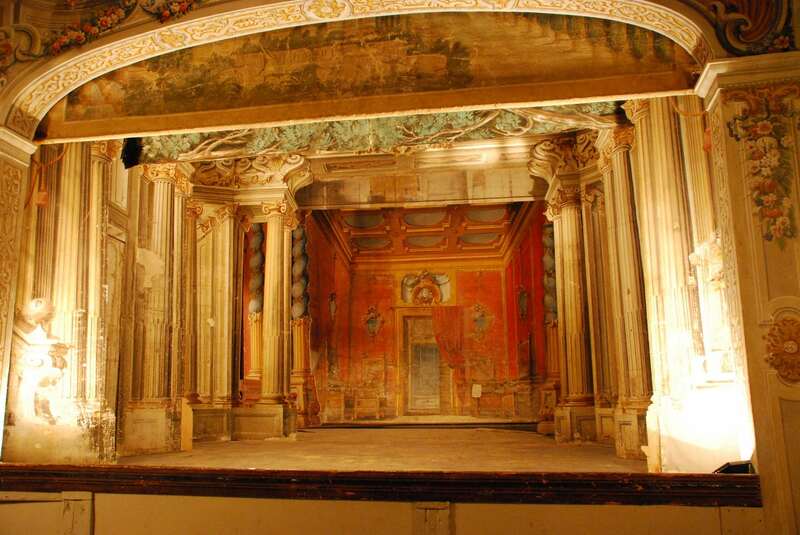 and a really amazing authentic 18th century “family” private theatre. The tour includes, guess what? Yes, you got it: wine tasting! …and a Chianti bottle to bring home. Good deal for 15 €. Not tired yet? Still a little hungry (and thirsty)? Well, a nice place to have your last aperitivo (Italian cocktail) could be the Castello di Spaltenna, another perfectly preserved middle age castle, now transformed in an exclusive hotel. On its terrace you will indulge with a glass of Chianti wine in your hand and the delightful Tuscany countryside at your feet.